Converting a plain bathtub stall to the elegance of a solid, tempered-glass screen can enhance the beauty of your bathroom, while adding value to your home. Today’s custom bathrooms are all about openness, fluidity and flow. Modern designers attempt to bring together fundamental elements such as decorative tile, contemporary bath fixtures, and custom vanities. Traditional framed shower doors employ hard lines, glaring frames and tend to create closed, often dark and defined spaces. Frameless glass shower doors in your bathroom help create a far more spacious, seamless and up to date space. 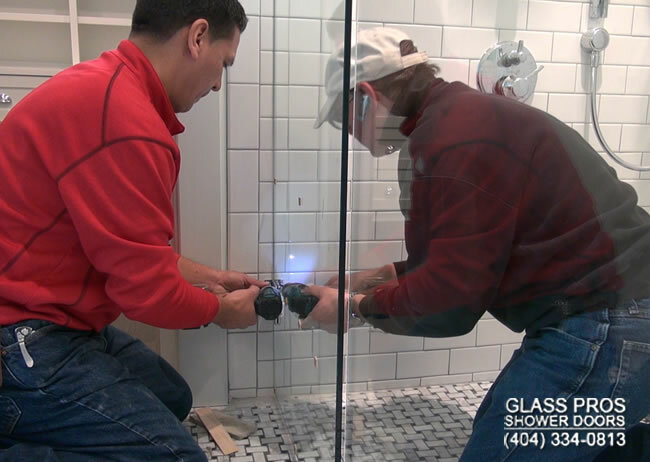 It is not enough for us to make you happy, we want you to be ecstatic with our work so you are sure to tell everyone you see, and show everyone you have in your home your new frameless glass shower enclosure! We have worked hard over the past decade to earn a great reputation for our company, and we can't wait to work even harder to maintain it! After you schedule your free estimate and we go over the possibilities, we are sure you will agree that we are the right company for you. The estimate is free; we will listen to your wishes and give you our honest opinion to achieve them. And because we practice no high pressure sales techniques; the rest will be up to you!